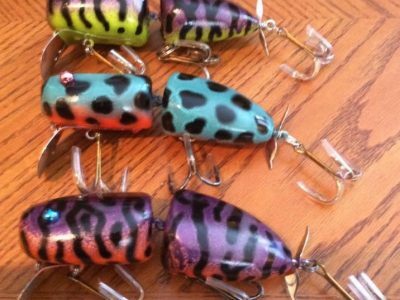 Greg Nimmer and his Nimmer Swimmer Musky Lures have been part of the Wisconsin fishing scene for decades. 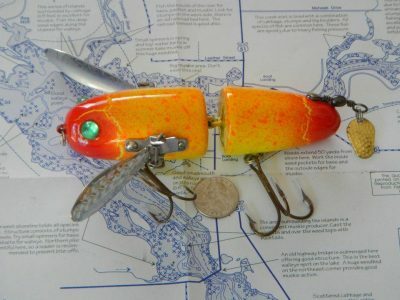 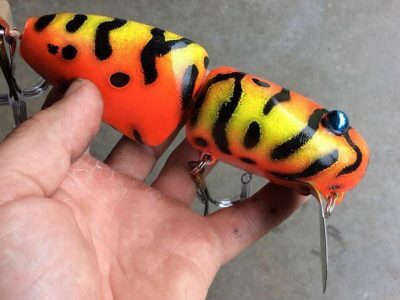 Nimmer started making his own Musky lures at the age of 12 in the basement of his parents home in West Allis. Today he produces a wide variety of lures that are both creative and effective. 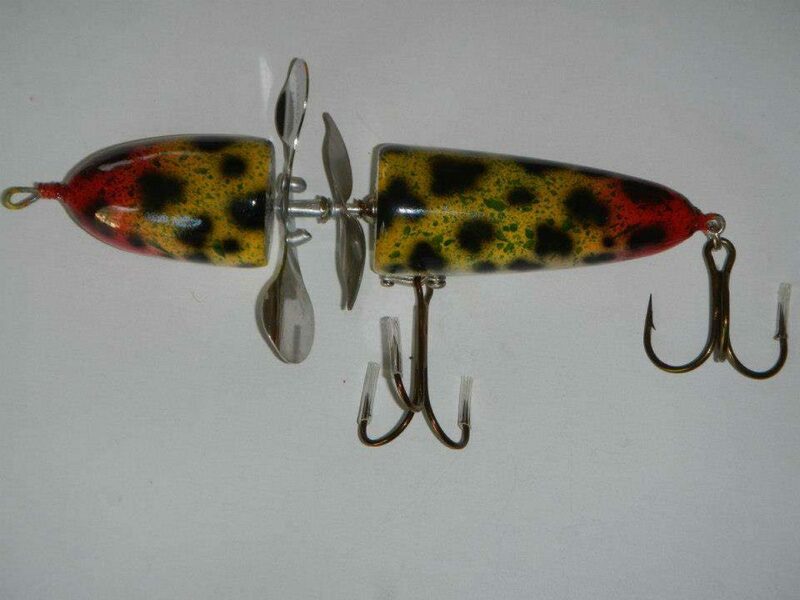 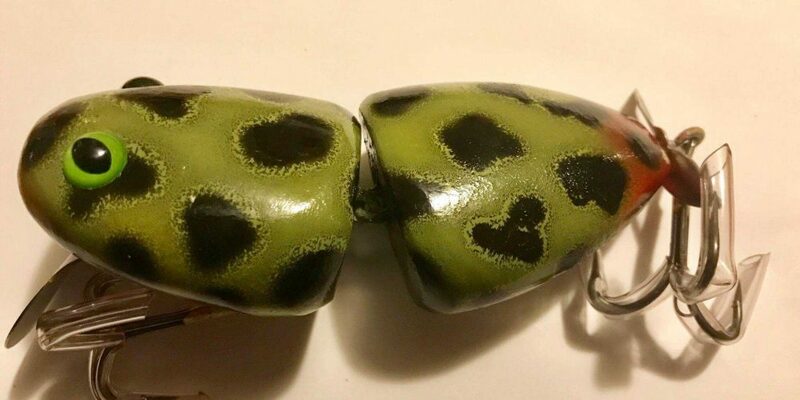 His most popular lure is the "Wolly-Pog" a jointed surface lure that makes a racket when it is retrieved. It really works, from my own personal experience. 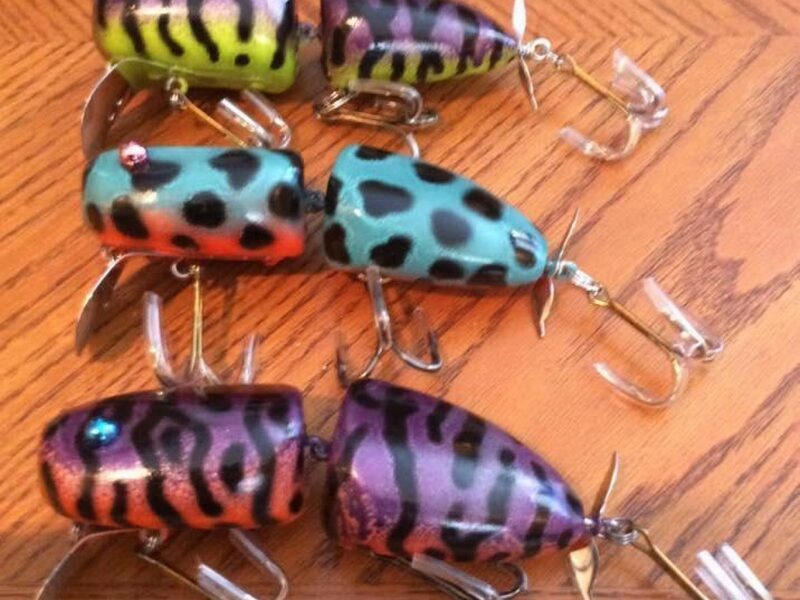 You can find more info by checking Greg's facebook page by searching for "Nimmer Swimmer" or give him a call at 715-612-0607 at his home in Tomahawk, WI.